Serious woodsmen know that an axe with a flimsy handle just won't cut it in the great outdoors. 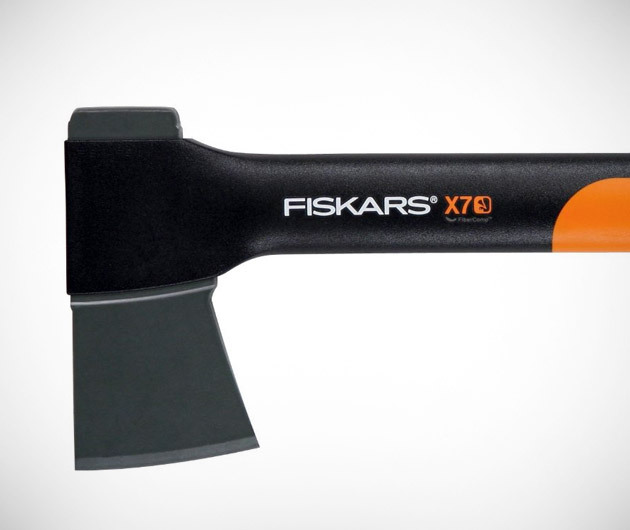 Enter the Fiskars Unbreakable Hatchet. This convenient little hatchet has FiberComp handle that can take even the hardest of overstrikes, and the PermaHead molded axe head is guaranteed not to fly off on the upswing. Weighing in at just 2 pounds, the Unbreakable Hatchet is the perfect companion for any hiking, camping, or hunting trip.